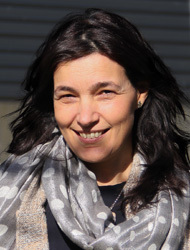 Paula ML Castro obtained a degree in Food Engineering from ESB-UCP in 1989, and holds a PhD degree in Biochemical Engineering from University College London, 1994. Main research areas focuses on developing bioprocesses for sustainability, including biodegradation of pollutants and wastewater treatment and soil phytoremediation combined with the recovery of biobased products, and devising bioinocula for microbial assisted crop production in forestry and agriculture. She co-authored more than 180 papers in international journals and was involved in the supervision of 17 concluded PhD theses. She is currently Full Professor at Escola Superior de Biotecnologia (ESB-UCP). Her teaching activity involves bioengineering and microbiology, focusing on technology and sustainability. She is a member of the Direction Board of ESB-UCP and coordinates the 1st cycle area and the Bioengineering degree. She is the head of the group Environment & Resources of the Research Center, CBQF. Ramos C., Amorim C.L., Mesquita D.P., Ferreira E.C., Carrera J., Castro P.M.L. 2017 Simultaneous partial nitrification and 2-fluorophenol biodegradation with aerobic granular biomass: reactor performance and microbial communities. Bioresource Technology 238: 232–240. Calheiros, C.S.C., Bessa, V.S., Mesquita, R.B., Brix, H., Rangel, A.O.S.S., Castro, P.M.L. 2015. Constructed wetland with a polyculture of ornamental plants for wastewater treatment at a rural tourism facility. Ecological Engineering 79, pp. 1-7. Amorim C.L., Maia A.S., Mesquita R.B.R., Rangel A.O.S.S., van Loosdrecht M.C.M., Tiritan M.E., Castro P.M.L. 2014. Performance of aerobic granular sludge in a sequencing batch reactor exposed to ofloxacin, norfloxacin and ciprofloxacin. Water Research 50: 101-113.